Today I have a look at the Milani Cosmetics Color Statement Lipliners. I've had these for a while and realized I haven't posted about these yet. There are many different shades to choose from and I have 8 of them swatched. 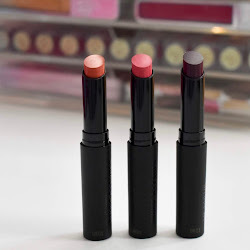 These have been my favorite lipliners since they are creamy and never dry out my lips. 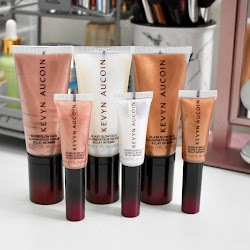 Find out more info and see swatches below! Just like its namesake lipstick, Color Statement Lipliner packs a bold punch and was built to go the distance. Precise but never draggy, its creamy finish lets you comfortably fill-in all over, or simply trace your lips to prevent feathering. Like to customize your look and make it your own? Layer it under a contrasting shade of lipstick or gloss. And when it wears down, get right back to the point with your Milani Duo sharpener. I don't use a lipliner everyday, but these are great to wear under when you want your lipstick to last longer or even on their own. I use All Natural mostly when I want something to neutralize out my lips for a bright/bold lipstick. I have used some of the brighter shades like True Red and Fuchsia on their own and they are really great quality. All of them have been creamy and don't pull on my lips when I'm applying. 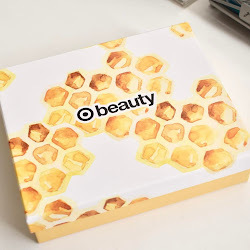 For being a drugstore product, these are amazing and the color range is really good. I know there are two new shades that are out which are called Bordeaux and Pretty Pink. 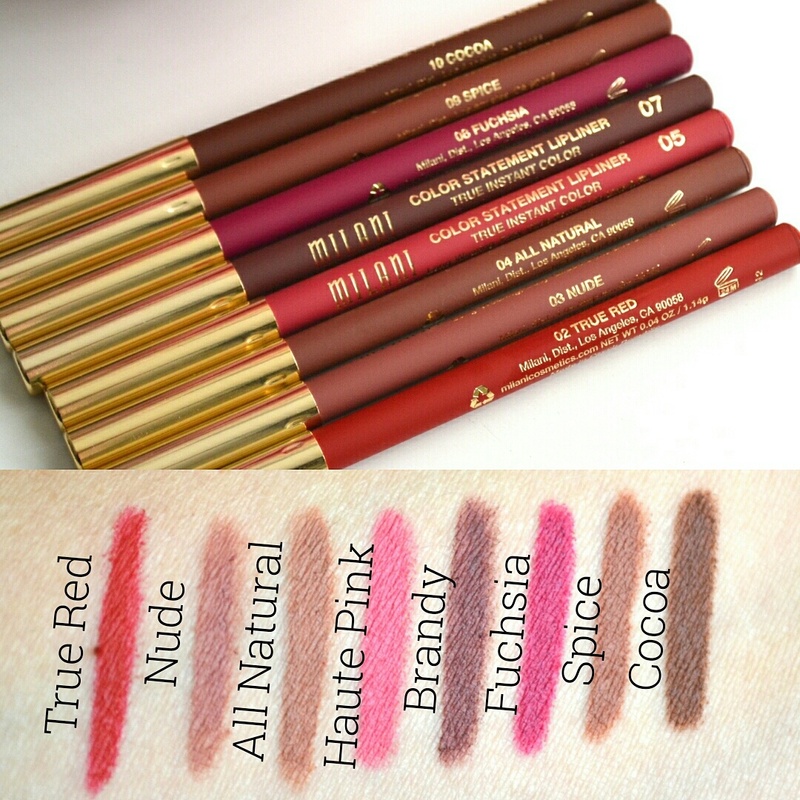 Milani Cosmetics Color Statement Lipliners retail for $3.49 each and can be found at various retail stores. Also on the Milani website.